Back in March, we had harped about a ‘cyborg’ insect whose flight was remotely controlled by a special electronic backpack. Well, this time around, scientists at the Lehigh University, have arguably attained a more delicate achievement – by which they could control an insect’s heart with wireless laser technology. The experiment was conducted on a ‘modified’ fruit fly, with the researchers directing a blue laser beam directly onto the anesthetized insect’s abdomen. This harmless laser was emanated at a rate of 10 pulse times per second (with precise modulation), which in turn resulted in the insect’s 10 heart-beats per second with exact synchronization. In essence, this alludes to the nascent development of an optical pacemaker that can potentially have advantages over its conventional counterpart. To that end, in regular pacemakers, the devices utilize electrodes to activate a pattern of impulses in the cardiac tissues, thus aiding the heart in maintaining a modulated rhythm. However, in this case, the cardiac tissue contractions are triggered by controlled pulses of unobtrusive light. This pertains to a new research procedure of optogenetics. In fact, as we mentioned before, the fruit fly was genetically modified before the technique was applied, with its cardiac tissues being embedded with a special light-sensitive protein derived from algae. So, when the laser was directed towards the insect’s heart, the light went through the exoskeleton to trigger these protein-embedded tissues. As for the potential advantages of such a light-induced optical pacemaker technology, the primary benefit relates to how the process is non-invasive when compared to regular electric pacemakers (that need to be surgically implanted). Moreover, the series of impulses triggered by an electric pacemaker can also affect other cell systems beyond the cardiac tissues. However, the optogenetic process is more precise in its scope, thus only having impact on the cardiac cells. Interestingly, the team of scientists had already tested their optical pacemaker technology on other organisms, including zebrafish and mice. Unfortunately, in these previous cases, the procedure proved to be too invasive, with the mice requiring chest wall surgeries for the induction of the laser pulses. But the later-examined fruit fly proved to be the ‘conducive’ specimen for the technology. This is because the scientists were able to successfully control their optogenetic process in the larva, pupa and the adult stage of this insect. 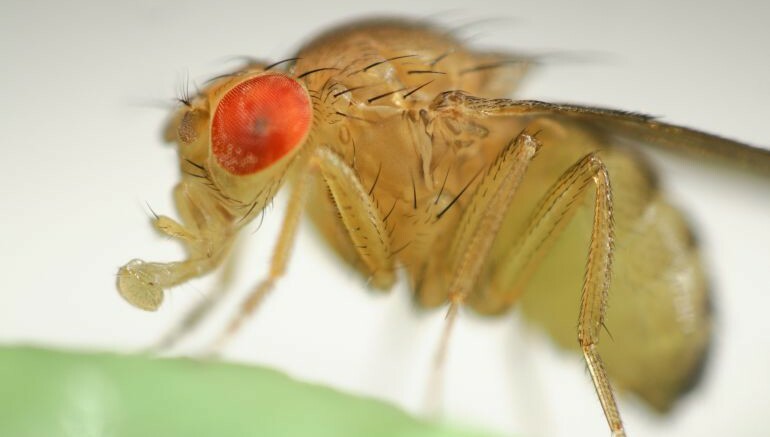 Furthermore, in terms of medical research, the development can be quite crucial – since the fruit fly genome is almost 80 percent similar to the human genome. Simply put, the insect suffers many of the same diseases prevalent in human beings. This brings us to the million dollar question – are humans ready for optical pacemakers? In short, the answer is – not currently. The primary reason being that the laser used in case of the insects, is simply not strong enough to make its way through human flesh and bones. Now, this predicament can be theoretically solved by using a near-infrared light with high penetrating capacity (with the light even having its responsive property to the protein augmented heart). But when it comes to practicality, near-infrared light has the tendency to scatter – which goes against the precise nature of an optogenetic process. However, the researchers have also made it clear that when such a technology is fully developed, the procedure making its debut in humans ‘is not impossible’.